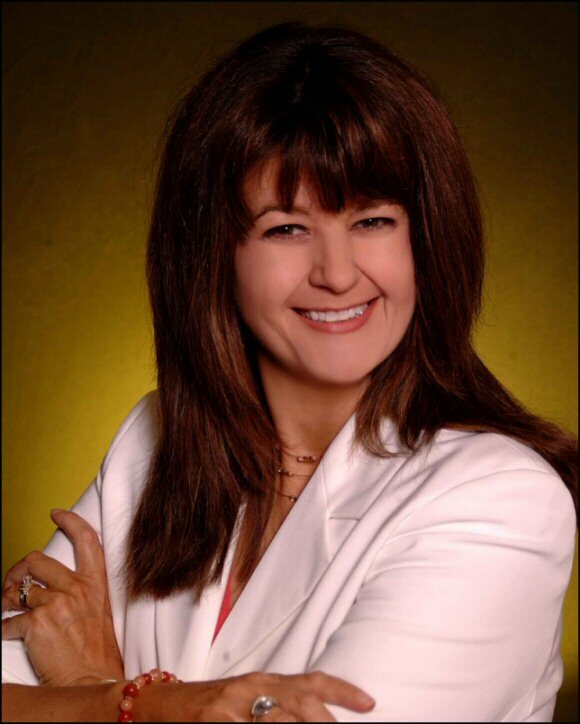 It's our pleasure to welcome New York Times bestselling author, Lori Wilde back to The Romance Dish! I've been a fan of Lori's books since back when she was writing romantic comedy for Harlequin Duets and Gannon and I have both been enjoying her new Twilight, Texas contemporary series. You can read reviews of Lori's books posted at The Romance Dish here: The First Love Cookie Club, The True Love Quilting Club (guest review) and The Welcome Home Garden Club. Click here to read Gannon and Lori's interview from April, 2011. Please welcome Lori as she joins us today to talk about those special Christmas stories we all love and her Christmas present to her readers: three new ebook Christmas novellas from Twilight, Texas! Ah Christmas! Who doesn’t love a great Christmas story? 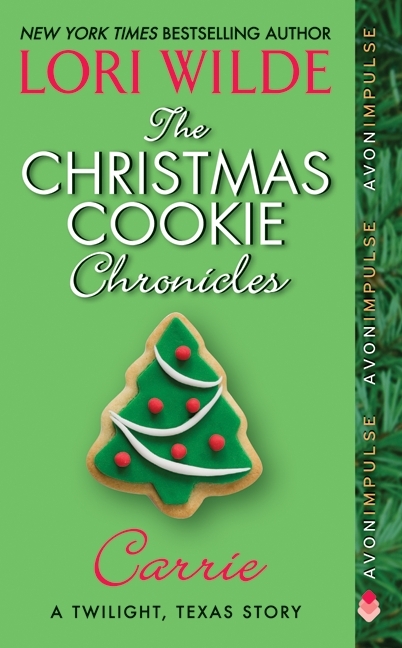 When Avon asked me if I wanted to write three ebook novellas set during the Christmas holidays, based on my successful Twilight, Texas series, I jumped at the chance. 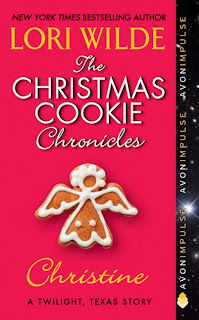 Writing The Christmas Cookie Chronicles was such fun! There’s just something magical about Christmas stories that speak to us all. From A Christmas Carol to The Night Before Christmas to The Grinch Who Stole Christmas, tales of forgiveness and redemption, hope and miracles stir something in everyone. This time of year, everything takes on a merrier glow. I love Christmas movies too. From Miracle on 34th Street to It’s a Wonderful Life. These evergreen classics warm our hearts year after year. One of my family traditions is to hold a tree decorating party. We drink hot chocolate, put up the tree, string popcorn garlands and bake cookies. Afterwards we curl up on the couch to watch A Christmas Story. Yes, my favorite holiday movie of all time is a comedy. I can’t imagine a Christmas without Ralphie and his Red Rider b.b. gun. It’s such a perfect holiday movie. What about you? What are your favorite Christmas books, movies or songs? Do you have a special holiday tradition? It’s Christmas time at the Horny Toad Tavern, located in the heart of Twilight, TX. Elvis is on the jukebox, the lights twinkle outside…and inside, Raylene Pringle is wondering if it’s going to be another “Blue Christmas” without her true love, Earl. 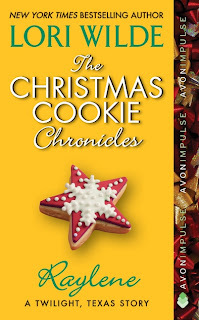 But things are about to change—because ‘tis the season for unexpected romance and a surprise mother/daughter reunion…reminding Raylene that you should never disbelieve the legend of the kismet cookies! To her surprise, Eli asks her on a date…and to her greater surprise she accepts. Maybe it’s the mistletoe, or the season, or even the cookies…but suddenly something magical happens. But the dreams that Christine thought she’d given up on are suddenly coming true—and it all begins with another kiss from Eli. Christmas stories always seem to have a little magic in them. I love Christmas. My favourite Christmas song is All I Want For Christmas (is you), I love Santa Baby as well. I love Christmas stories but no particular favourites. My favourite Christmas movie is Muppets Christmas Carol, I just love it. Oh wow, gotta have these for my Christmas collection, I start reading Christmas stories the first of November and as my collection grow I might have to start earlier. Hi, Lori! I have to admit that for many years, Christmas was a very difficult time for me. In 1976, my family and I lived in Paris and I got word that my mother back in the U.S. was dying. I flew back to be with her for six weeks as she lingered. I missed Christmas with my two young sons, ages 4 and 8 and my husband which broke my heart. It was a very difficult time for me but over the years, I have learned to love Christmas again. After we retired, we met a young woman who had moved to Florida and had no family here. She too had lost her mother at Christmas when she was 15 and the holiday was difficult for her. Together, we have become very close and have both learned to love Christmas again. Sorry to be maudlin, but I wanted to share this story with your readers to let them know that things DO get better. To answer your question, I love The Night Before Christmas book. Our daughter-in-law still gathers her 4 children together and reads it to them on Christmas Eve. A movie I enjoy is All I Want for Christmas about children trying to bring their parents back together again. And lastly, I love the song, Blue Christmas. It may sound sad, but I love the beat. My favorite Christmas songs are Come All Ye Faithful (and the Latin version Adeste Fidelis) Silent Night, Joy to the World, and so many others, lol. My favorite Christmas stories are Johanna Lindsey's The Present, NR's The MacGregor Brides, and A Wallflower Christmas by Lisa Kleypas. I love The Christmas Story with Ralphie and the infamous lamp. O Tannenbaum is probably my favorite song. There's no book I think of at Christmas time except maybe for The Grinch who Stole Christmas. I have a bookcase full of Christmas books for adults and children. I add more every year and try to reread as many as I can. My favorite from last year was CHRISTMAS MOON by Elizabeth Lane. I will definitely be rereading it this year. 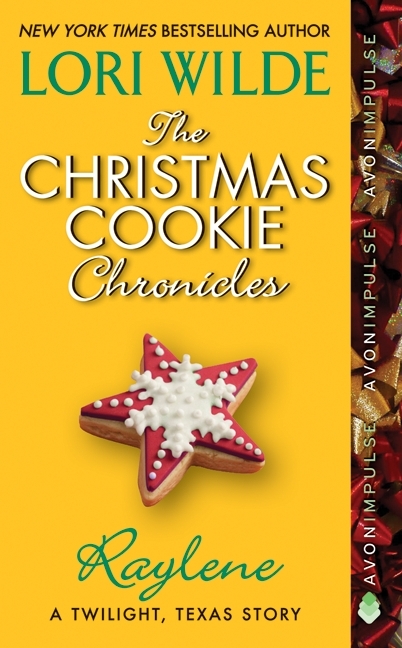 Your Christmas Cookie books sound like a fun way to start the holiday season. The holidays are a good time to put the past to rest, starting over, and finding new friends and romance. I hope the release of the trilogy does well. Books would be Sandy Blair A Highlander for Christmas and Constance O'Banyon's Five Golden Rings. Thank you all for sharing! I'm busily making notes for new books and songs to try. How sad! Thank you so much for sharing that with us! You are an inspiration. Thank you, Lori! I didn't mean to be a "downer" on the blog today, but I do know that there are many people out there for whom the holidays are difficult. I just want these people to know that it can be overcome. Christmas is truly a wonderful time for all of us to remember family and friends and to be thankful for all we have. I know I am. Christmas at our house will be quiet this year. Both of our kids live out of state and usually we travel to one of their homes or they come here, but its not happening this year. We may go to my brother's house though. Favorite Christmas movie is "Miracle on 34th Street"
Favorite Christmas song is "O Holy Night"
The Chronicals are gonna be GREAT!! Will have to add them to my TBR pile!! It's a Wonderful life....I mean...is there REALLY any other movie that continually makes you cry, year after year?? I think NOT...oh wait, I do cry at ELF! O' Come all Ye Faithful gets me EVERYTIME! It because of that STUPID Brady Christmas movie when Mike is stuck in the building and they don't think he will make it. Yea..I know...I am SUCH a dork!! And for Books... Susan Mallery's High-Powered, Hot-Blooded is THE Christmas book for me....And YES, I DO cry while reading this amazing book!! Its one of my Top Shelf Rereads!! I love the movie A wonderful Life, also home Alone. music, I love Kenny Chesney I want a tan for Christmas, also Silent Night, there so many songs that i can't name them all-Joy to the World anyways,books I read to kids, The night before Christmas, and Jesus's was born! I love your Twilight, Texas series, so I will be sure to get your Christmas ebook novellas. Songs: Soooo many! I love all of the traditional carols. One of my faves is Bing Crosby and David Bowie singing The Little Drummer Boy/Peace on Earth. Magic! Welcome back, Lori! We're so happy to have you with us today. I love Christmas music and can't wait to break out my Christmas CDs! I always enjoy a good Christmas romance, though I haven't read one in a while. I need to rectify that! As for movies, our family always watches The Christmas Story and National Lampoon's Christmas Vacation together. So hilarious! 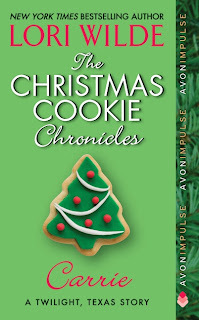 I Can't wait to read The Christmas Cookie Chronicals. I have all the other books in the Twilight, Texas series. I still love The Night Before Christmas as a book favorite. It brings back all good memories of when the kids were little. National Lampoon's Christmas Vacation is a Christmas Eve tradition to watch Christmas Eve after the gifts are opened at my parents house. My favorite Christmas song is O Holy Night. I also enjoy Carol of the Bells and anything the Transiberrian Orchestra has put on a CD. I love to read Christmas themed romance books all year long. There is just something special about the Christmas season that just makes a story a little bit sweeter. One of my favorite pre-Christmas activities is reading nothing but Christmas stories. Lori, THE FIRST LOVE COOKIE CLUB is one of my favorites. I think it would make a wonderful Hallmark or Lifetime Christmas movie! You guys are so supportive! I do treasure you taking the time to post! I know how busy people are this time of year! I love The Vince Garibaldi Charlie Brown Christmas CD too. Christmas books any and all Christmas themed books. I especially like Cutliss Matlock's Miracle on I-40 and Linda Howard's Bluebird Winter. 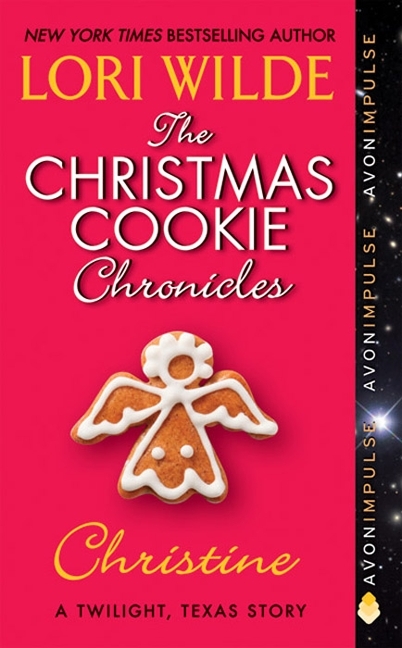 Best wishes for continued success with your Christmas Cookie book series! Happy Holidays!